Streaming service TVPlayer has officially launched its pay TV option TVPlayer Plus on Amazon Fire TV, with a range of additional channels now available to Fire TV users, including Lifetime, Discovery and Eurosport. 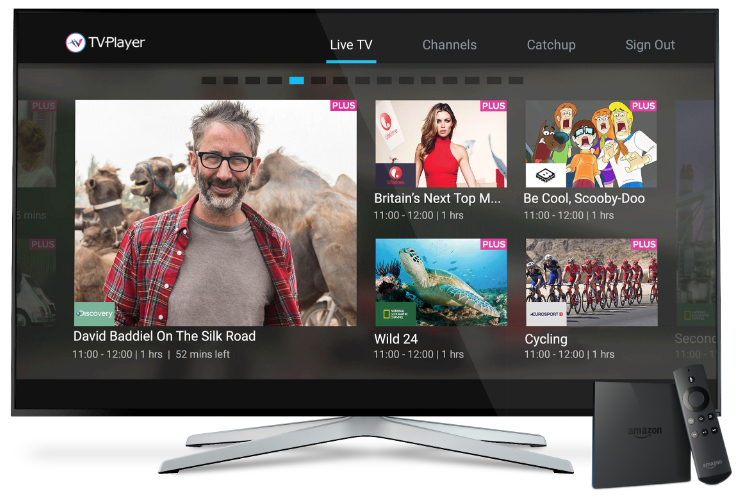 Live TV streaming app TVPlayer has grown to become one of the most popular Entertainment apps on Amazon Fire TV since it first launched in the UK. Now TVPlayer Plus has been added to the app, which brings the total offering of channels to 75 within a single app for a monthly subscription of £4.99 per month. Existing free-to-air channels can continue to be accessed through the app as before. The additional channels include Lifetime®, HISTORY®, H2®, Crime + Investigation®, Discovery, TLC, Investigation Discovery (ID), Animal Planet, Discovery Turbo, Eurosport, National Geographic Channel, Nat Geo WILD, Sony Channel, Sony Movie Channel, Boomerang, Cartoon Network, Cartoonito and BabyTV. Users can find the TVPlayer app on the Fire TV Appstore through their remote control, or using Voice Search.